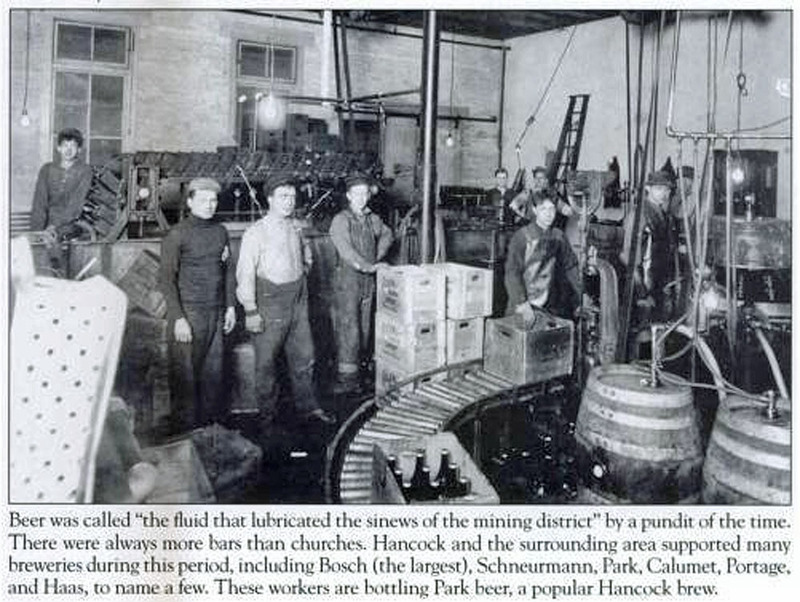 The Park Brewery was located on the NW corner of E.Atlantic St., and Emma St., adjacent to what is now McAfee Field. 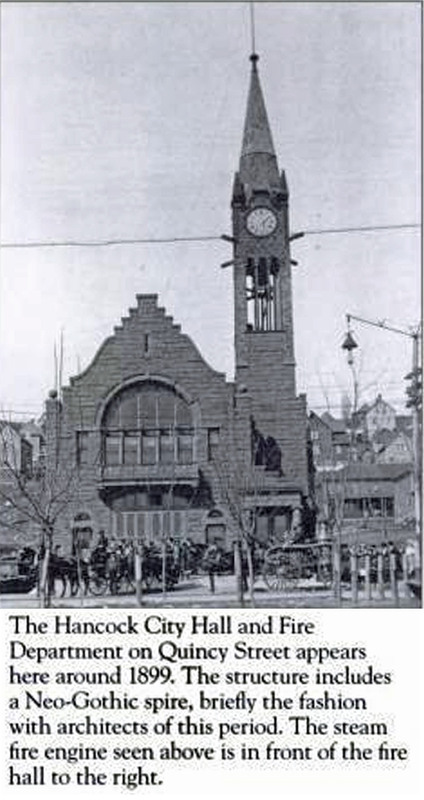 The stone building no longer exists. 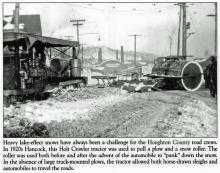 Few Portage Lake district people are aware that Houghton, back in 1906, almost had three breweries, Bosch or Scheuermann, Haas and Park. 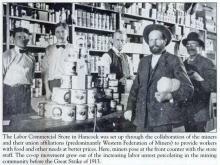 It was the original intent of the Park enterprise stockholders to construct a brewery on early famed Haas Park ground. 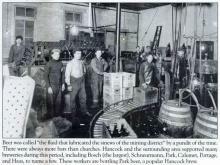 Deference to Hancock being without a brewery, however, made for the change. 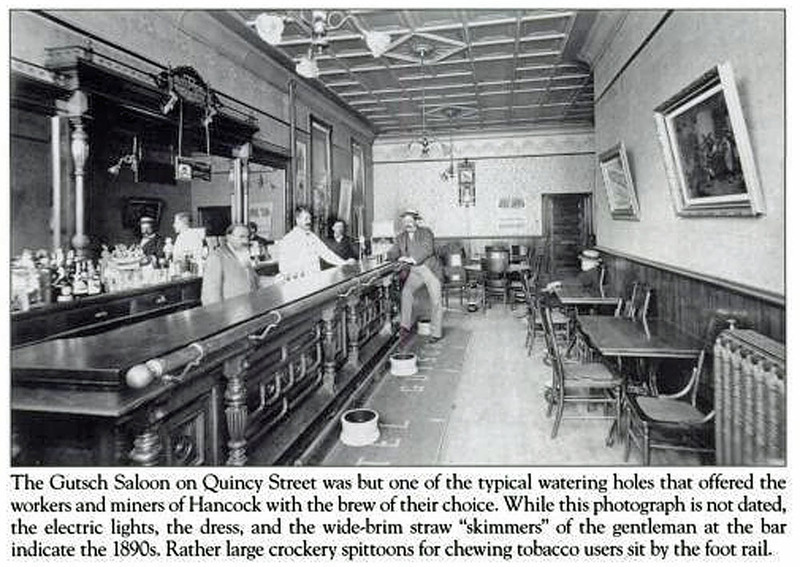 The Gutsch Saloon was typical of saloons in that period. 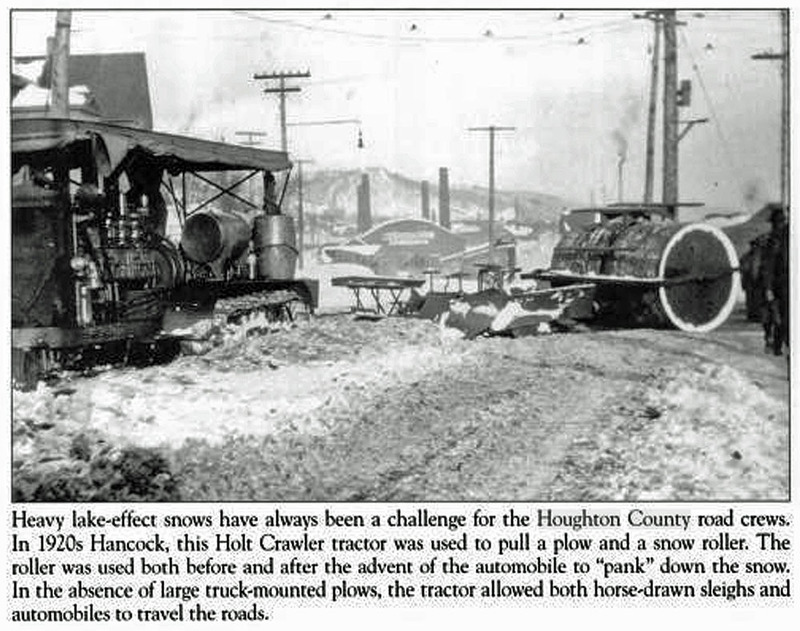 Note the gas lights. 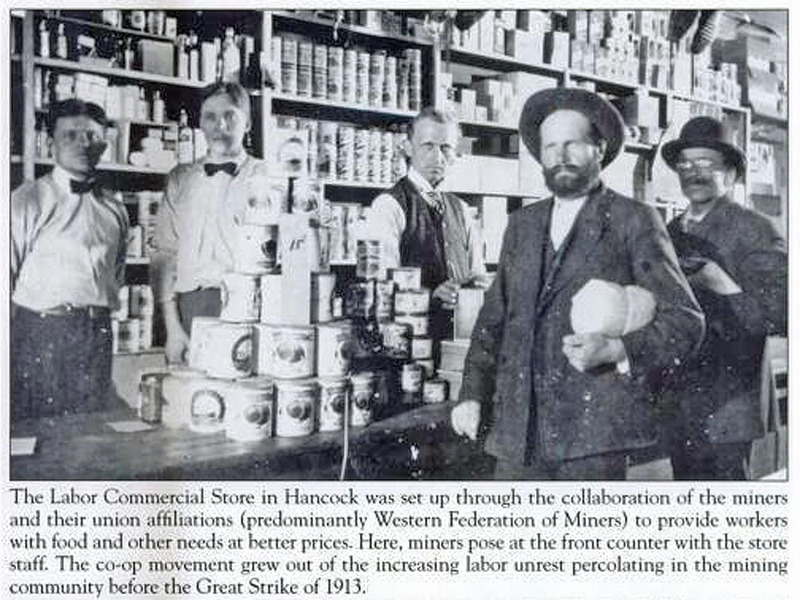 As mine production increased and the number of employees and families increased, the demand for goods often outgrew what the original Company owned stores were able or willing to accommodate. Clock on Tower still continues to operate. 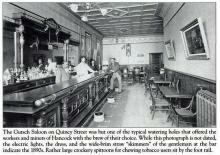 See link at pictorial beginning. 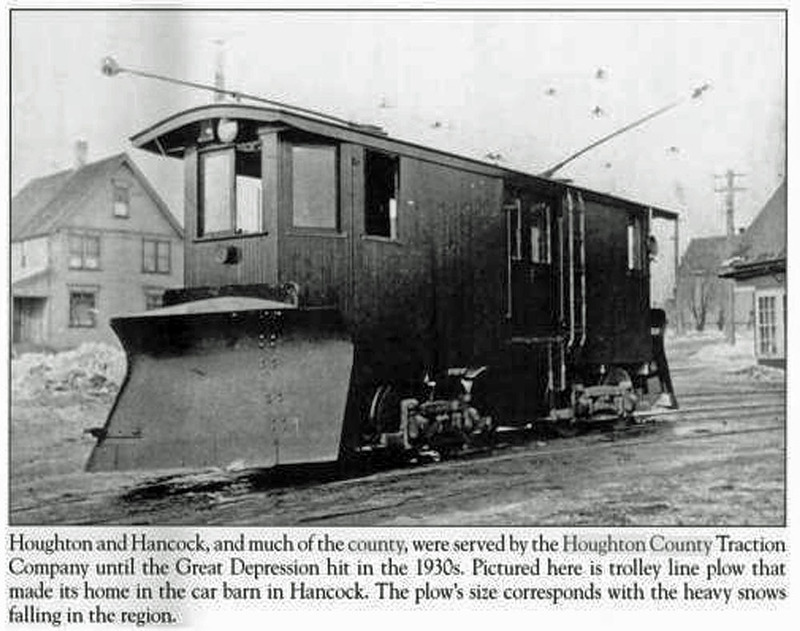 The Traction Company ended in 1932. Their original Power House still stands, and is in use today to house the MTU Smart Zone, adjacent to the Bridge in Houghton. Unit on left is a tracked vehicle, very large and cumbersome.